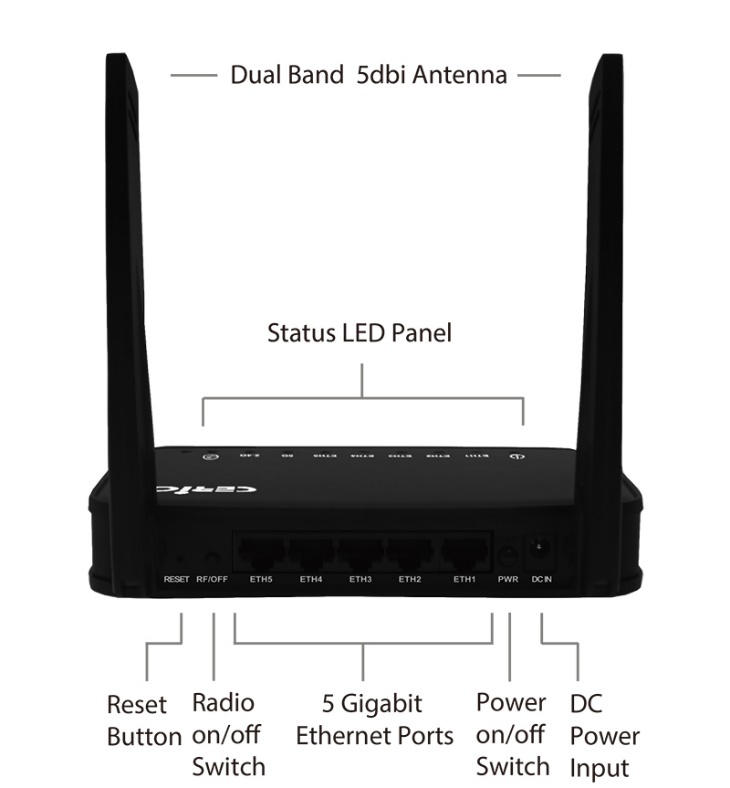 The CERIO DT-400 A1 bundles Cerio CenOS 5.0 Software Core with Built-in CAP (controller-less AP) mode. The CAP mode can centralize management of up to 64 units of Cerio AP. This device is perfect for enterprise deployments such as corporate offices, public venues, conferences, and other high traffic indoor environments. 11ac chipset design provides enterprise grade CPU performance, allowing the device to handle up to 100 concurrent clients. Supports wireless fast roaming 11r/k protocol for seamless roaming and smart client handoff. Built-in Time Policy function can set multiple times schedule to apply to RF on/off and IP/MAC filter or other security function.